We all need comfort. There are times when we need a father's reassurance and there are times when we need a mother's comfort. When our children were little, if they got hurt playing in the backyard, they would look for their mother first before they would look for me. That is because there is something in a mother's heart that provides a reassuring comfort that is quite different from a father. Fathers tend to try and fix the situation, where mothers bring comfort. In the same way that there are many Scriptures that compare God's heart to the heart of a natural father (Psalm 103:13-14), there are also other verses that speak of a feminine expression of His love. This is one of those passages of Scripture where God is speaking to His people and telling them of His mother's heart for them. While we know that God is our Father, we also know that He is the complete expression of love. He does not just express masculine love, but feminine love as well for He is the very essence of all love (1 John 4:16). There are times when we need the strength and exhortation that comes from a father, and there are other times when we need comfort that comes from a mother's heart. God's love for you is so vast that it far surpasses every love that you have ever known. Mother. Father. Sister. Brother. Son. Daughter. Spouse. Friend. 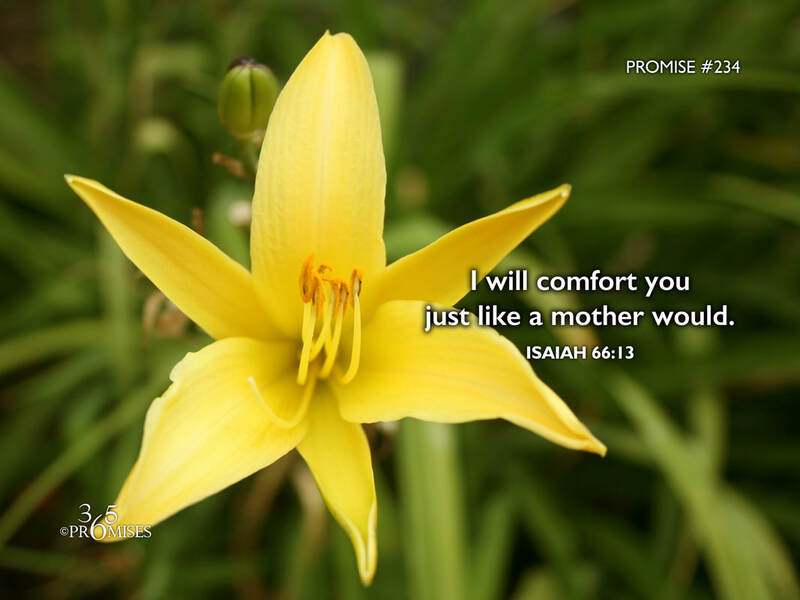 The next time that you need the comforting embrace of God, be encouraged to know that He has promised to comfort you just like a mother would... but only a millions time better!